GET READY TO PARTY ALL NIGHT LONG WITH THE COVERAGE!!! 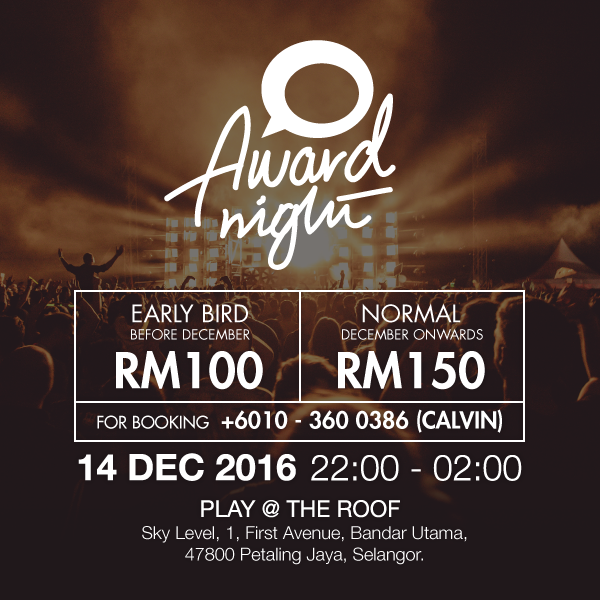 It will be partying and networking throughout the night not only with the award winners but also with the forefront in Malaysian business and technology leaders – the ones who drive global innovation in media content technology. During the night, there will be an exclusive performance by my favorite Asia’s Hottest DJ Leng Yein alongside with special guest appearance like Leng Sean, DJ Joleen and DJ Deadwood. Also gracing the event are A-list celebrities like Amber Chia, Kinki Ryusaki, Sachzna Lapara, Carrie Lee and many more. "I am so ready to join the party!!! Feel full of excitement to have the chance,and have fun all night long with DJ Leng Yein, and her sister Leng San, Amber Chia, Kinki Ryusaki and of course my friends!!!" Speaking of meeting cool people, check out my blog post about when I met Dato' Norman Pang! It is very interesting to read that the diversity of the Malaysian community by gathering informative contents from industry tracking and focus the flow of the trends onto the technologies and businesses that are disrupting industries, creating entirely new markets and changing society. If you doubt the effectiveness of safe and healthy products, you can put your speculations aside.